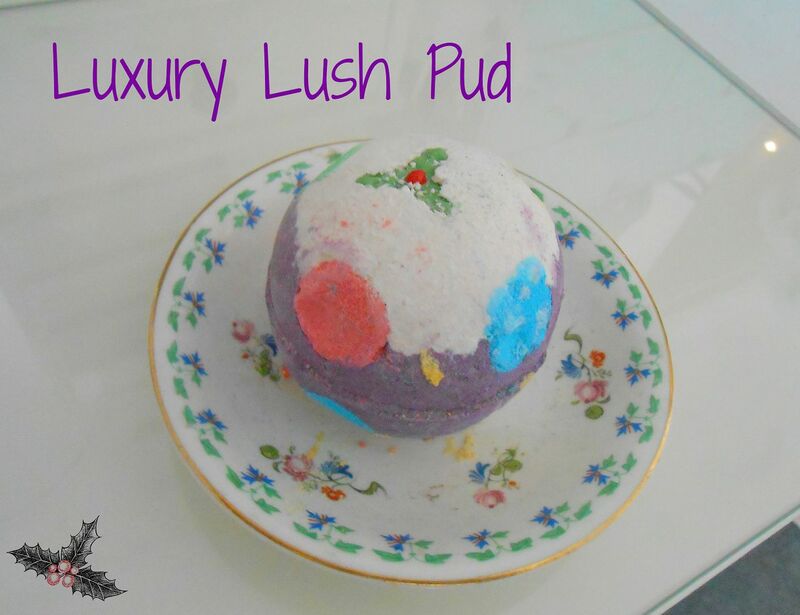 Luxury Lush Pud in action! 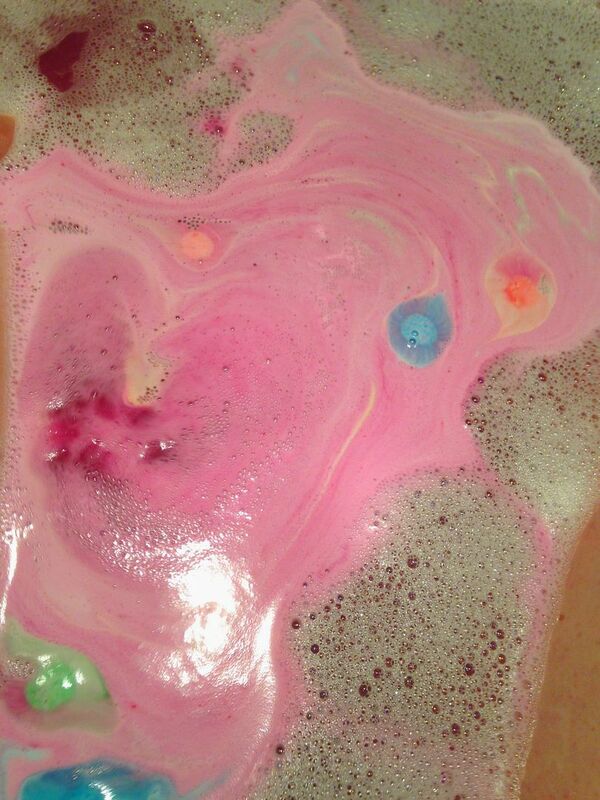 For this bath I wanted delicious bubbles AND a bath bomb. Decadent? Yes. It was awesome though. 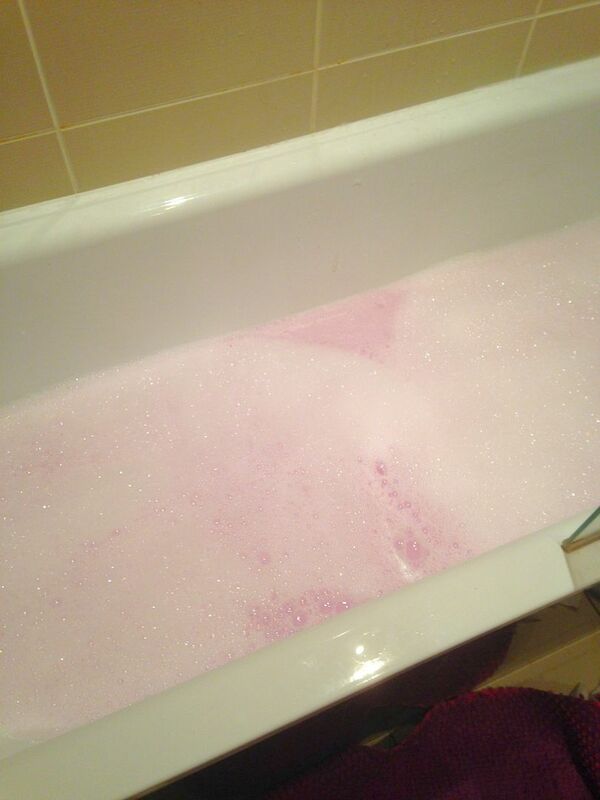 I crumbled about 1/4 of Candy Mountain under running water, which gave loads of bubbles and turned my bath water a baby pink colour. Once I was in the bath I threw in the Luxury Lush Pud 🙂 If you like colourful, this is gorgeous. The pink, blue, yellow and green little segments you can see when the bomb is whole kind of dissolve. They shoot off and leave the purple centre bomb fizzing nicely. It dissolves in its entirety pretty quickly, which I prefer to a slow-burner, but worth noting if you love sloooowwwwww motttionnn baths. The finished colour is basically like being in a bath of ribena! You definitely don’t need the bubbles as well, but I think it was a nice touch. The scent is so relaxing – it has lavender oil (my favourite!) & ylang ylang amongst other things. This is perfect if you need a little help drifting off, or you just want to chill out after a long week. If you want bubbles as well, this would go well with Lavender kiss bubble bar as well… mmm, so much lavender for the sleepy times. 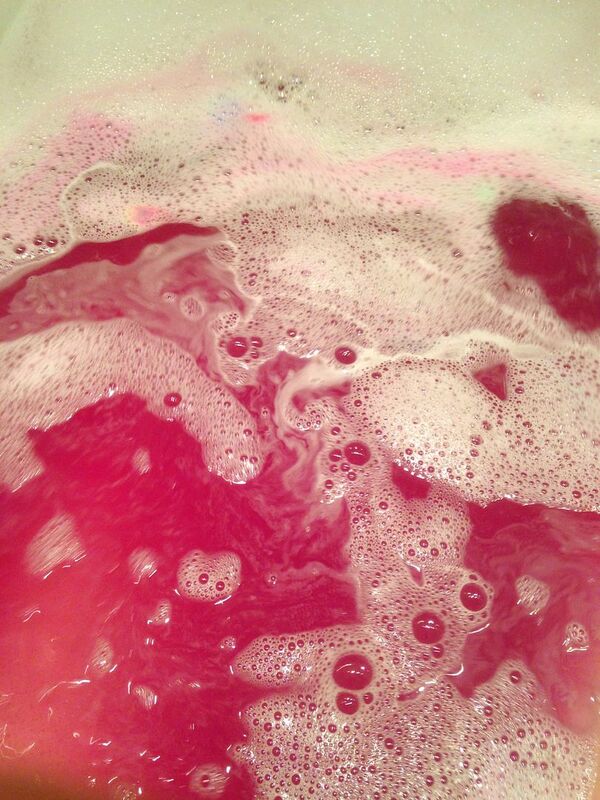 It’s the same scent as the Twilight bath bomb, but it makes the water a prettier shade of pink. Saturday Face #31 ... the Dark side!